Think it’s impossible to experience Brownie Bliss without over-indulging? Weight Watchers Sweet Baked Goods has set out to prove it’s possible with new Brownie Bliss. women we see in the commercials who takes 10 minutes to eat one bite, but I do!! I savor every second of each bite of this outstanding brownie. And the triple chocolate is every chocolate lover’s fantasy! It melts in your mouth and fulfills every chocolate desire!! These products are the answer to my sweet tooth’s dreams! There is nothing worse then craving chocolate when you are on a diet. Now, you can have your chocolate and keep the pounds off! 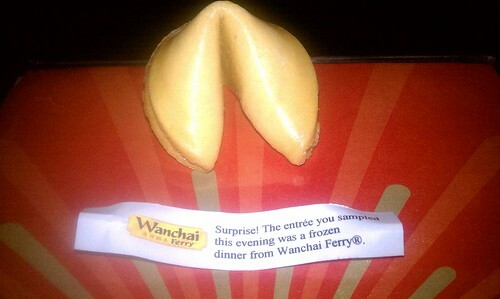 In case you can’t read the message in our (yummy) fortune cookie, the entrees we had for dinner were Wanchai Ferry Frozen Meals! The crazy thing? I had no idea! 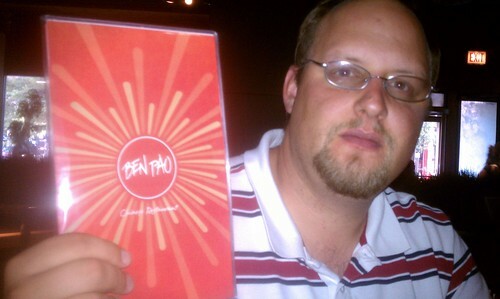 It was very good, and we’ve bought a few dinners since too! You see this done on commercials — I had no idea that it would happen to me! 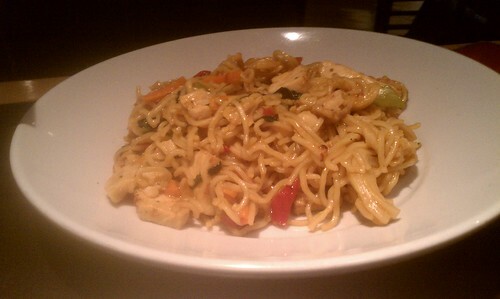 I do have to thank Wanchai and BlogSpark for a great dinner (even if the entree was a frozen meal! )!